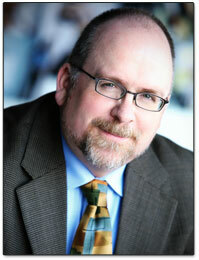 Doug Garnett has established himself as an entertaining and insightful speaker. He’s had to be. He spent 12 years as an adjunct instructor of general advertising in the School of Business Administration at Portland State University where he fought the unique challenge of educating classes of 50 students while also keeping them engaged in 3 hour evening lectures. Doug is a respected expert in leveraging innovations for higher market returns. He’s also an expert it brand building, advertising communication, product introductions, and television. His first book, “Building Brand with Direct Response Television” was published in 2011. Doug has experience speaking at many industry trade and business media events including: National Hardware Show, the American Marketing Association, and the ResponseExpo. He also provides in-house training around the marketing of innovation. For details on how to book Doug as a speaker contact info@protonik.net with the subject line “Speaker Request”. To read more on Doug’s background, visit the “About” page.